What is Catalyst Accelerator for Retail? Catalyst Accelerator for Retail is a set of API designs and supporting reference implementations, that accelerate the path towards digital transformation. Drawing on its work with 2 of the top 5 global retailers, MuleSoft’s Catalyst Accelerator for Retail provides a microservices foundation for implementing key omnichannel retail use cases. Catalyst Accelerator for Retail provides a prescriptive architecture drawn from our work with industry leaders that promotes asset self-service and reuse. In the architecture, we’ve abstracted data from complex retail systems like Hybris, Salesforce and Partner systems that use EDI messages into a canonical model that is represented via a set of REST APIs. We also built experience APIs that provide better experiences for both customers and API consumers. 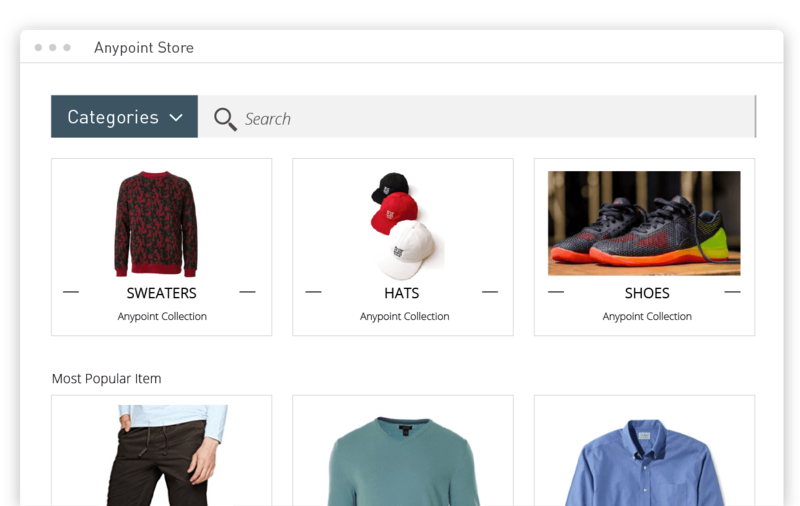 Retail processes like customer onboarding, product availability, and fulfillment require real-time integration across eCommerce, CRMs, and other core systems of record. MuleSoft’s Catalyst Accelerator for Retail provides a set of connectivity assets that deliver on these use cases. As you build your retail application network, all your assets will be stored in Exchange. These assets are now reusable and discoverable, helping to accelerate your journey.